Quantity and quality go hand-in-hand where the new Fiat Doblo van is concerned, available at very affordable prices here at Motorparks. 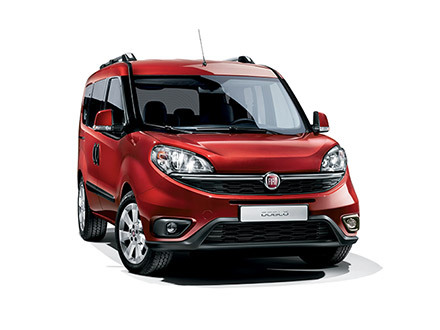 Space is the main talking point about the Fiat Doblo, simply because there is so much of it. In fact, you can carry up to one tonne of trailer weight within 3,200 litres worth of boot space of any of our Fiat Doblo vans. What’s more, seven seats can be comfortably fitted into the vehicle if you aim to transport passengers instead of equipment from A to B. Take a look at all of our new Fiat Doblo vans below and enquire about the one that catches your eye online now. Have you had the opportunity to look at our used Fiat Doblo vans too, which is made up of both classic and modern designs?